Advanced Wilderness Life Support (AWLS) Course is organized by Advanced Wilderness Life Support (AWLS) and will be held from Jun 18 - 24, 2019 at San Jose, Costa Rica. Continuing Education Credits: Earn Advanced Wilderness Life Support certification and 20.5 CMEs. In addition to focusing on wilderness medicine, participants will also learn whitewater safety and paddling skills, knot tying, and tropical natural history. Topics Include: • hyperthermia • infectious diseases • drowning • trauma • musculoskeletal soft tissue issues • dislocations/fractures • wild animal attacks, zoonosis • SAR • and much more. Additional details will be posted as soon as they are available. Advanced Wilderness Life Support (AWLS) Course is organized by Advanced Wilderness Life Support (AWLS) and will be held from Jun 24 - 30, 2019 at San Jose, Costa Rica. Continuing Education Credits: Earn Advanced Wilderness Life Support certification and 20.5 CMEs. In addition to focusing on wilderness medicine, participants will also learn whitewater safety and paddling skills, knot tying, and tropical natural history. Topics include hyperthermia, infectious diseases, drowning, trauma, musculoskeletal soft tissue issues, dislocations/fractures, wild animal attacks, zoonosis, SAR, and much more. Additional details will be posted as soon as they are available. International Education Course on Thrombosis and Hemostasis is organized by International Society on Thrombosis and Haemostasis (ISTH) and will be held on Oct 10, 2019 at San Jose, Costa Rica. Additional details will be posted as soon as they are available. 9-Night Tropical Costa Rica CME Adventure is organized by Sea Courses Inc and will be held from Nov 02 - 11, 2019 at San Jose, Costa Rica. The target audience for this medical event is family physicians, specialists, and allied health care professionals. Course description : The aim is to provide evidence-based material, as well as practical and relevant clinical pearls that will be easy to implement into one’s own medical practice. Conference attendees will be invited to complete a pre-course Needs Assessment to assist the faculty with the development of their presentations. 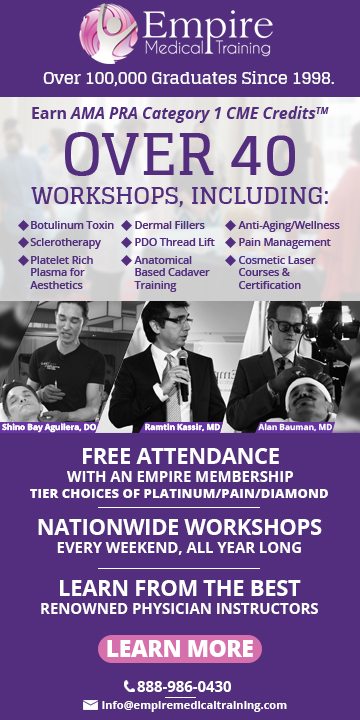 CME Topics Dr. Axler • CORE Back Tool • CORE Neck Tool • A Picture is Worth? • Deprescribing • NSAIDS: Screen Before You Scribe • Five Common Conundrums in the Typical Osteoporosis Patient Dr. Jovey • Practical Pain Assessment • Screening for Psychosocial Risk Factors in Patients with Pain • Non-Pharmacological Treatment of Pain - Physical and Psychological Approaches • Optimizing Non-Opioid Pharmacotherapy for Pain • The Role of Cannabinoids in Pain Treatment • Safe Opioid Prescribing – The 2017 Canadian Opioid Guidelines • An Exit Strategy for Opioids – When, Why, How Additional details will be posted as soon as they are available. Breast and Body Imaging at the Beach is organized by Penn Radiology CME and will be held from Jan 05 - 10, 2020 at Andaz Costa Rica Resort at Peninsula Papagayo, Guanacaste, Costa Rica. Target Audience: This course is designed for practicing radiologists who are looking to improve their acumen in both breast and abdominal imaging. CME Credits: Physician Continuing Medical Education: The Postgraduate Institue for Medicine designates this live activity for a maximum of 25.75 AMA PRA Category 1 Credit(s)™. Physicians should claim only the credit commensurate with the extent of their participation in the activity. Self-Assessment Modules (SAMS): Participants in this activity will have an opportunity to earn 16 Self-Assessment credits (SAMs). These modules meet the ABR’s criteria for a self-assessment activity in the ABR Maintenance of Certification program. Overview: Our 15th annual January course not only takes us to Costa Rica, a new destination for Penn Radiology CME, but is also an expanded week to include body imaging topics to appeal to a wider audience. Our program is designed for full or part-time radiologists looking to improve their acumen in both breast and body imaging. Three days of dedicated breast lectures will provide 15 breast imaging credits to meet MQSA requirements. Participants have Wednesday off to venture out and explore Costa Rica on a full-day excursion. We resume the schedule on Thursday with lectures including adnexal masses, endometrial and cervical carcinoma, prostate, and focal liver lesions. Learning Objectives: (Breast) Upon completion of this activity, participants should: • Review methods to optimize mammographic screening (i.e. increase cancer detection while minimizing false positives) • Explain the roles and potential benefits of digital breast tomosynthesis and synthetic 2D imaging in the screening and diagnosis of breast cancer and benign breast diseases • Discuss the data on the use of whole breast ultrasound and abbreviated breast MRI in the supplemental screening of women at average risk with dense breasts • Discuss the strategies for breast MRI interpretation • Improve image-guided breast biopsy skills Learning Objectives: (Body) Upon completion of this activity, participants should: • Effectively use ultrasound and MRI in the evaluation of adnexal masses • Describe the imaging terms useful in characterizing adnexal lesions and employ them in your clinical practice • Recall the major imaging features used in LI-RADS • Categorize focal liver lesions in patients at risk of hepatocellular carcinoma • Cite MR imaging features that are specific to hepatocellular lesions and recognize the unusual exceptions to the rules • State the staging classification of endometrial and cervical carcinoma • Recite the imaging features of prostate lesions on multiparametric prostate MR in order to utilize PI-RADS in your practice. Medical Spanish for the Healthcare Professional is organized by Medical Studies Abroad and will be held from Jan 27 - 31, 2020 at El Mangroove, Autograph Collection, Guanacaste, Buenos Aires, Costa Rica. Accreditation: Physician Accreditation: The University of North Texas Health Science Center has requested that the AOA Council on Continuing Medical Education approve this program for 20 hours of AOA Category 2A CME credits. Approval is currently pending. The University of North Texas Health Science Center at Fort Worth designates this live activity for a maximum of 20 AMA PRA Category 1 Credit(s)™. Physicians should claim only the credit commensurate with the extent of their participation in the activity. CRNA Accreditation Statement: This program has been prior approved by the American Association of Nurse Anesthetists for 20.00 Class A CE credits. Conference Description: This conference teaches basic and intermediate Medical Spanish language skills to healthcare professionals. The course is held in Costa Rica and helps students implement the usage of their new language skills with native speakers in an immersion setting. This is a one week class that focuses on vocabulary and situations unique to the medical professional. The conference will improve your Spanish language skills and give you more confidence when communicating with Spanish speaking patients. The goal of this conference is to teach basic, intermediate and advanced Medical Spanish language skills in the classroom and to implement the usage of these skills with native Spanish speakers in an immersion setting. At the conclusion of this conference, participants should be able to improve their knowledge of Medical Spanish with the ability to converse and take basic medical histories from Spanish speaking patients and have the ability to give simple commands and instructions to this patient population. Although excellent instruction and resources will be made available, it is up to the student to spend time outside of class to reach individual goals. A full textbook in addition to many classroom materials are provided for the implementation of this objective. Conference Highlights: • Classes are small - approximately 25 students in each level. • Each student is provided with a Medical Spanish textbook at the time of registration. 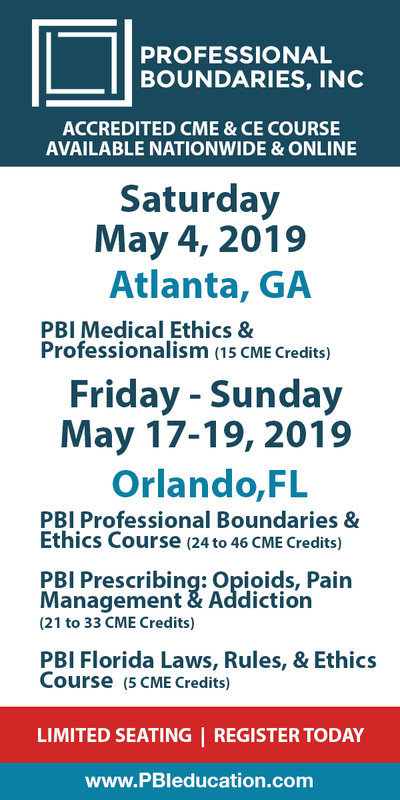 • The conference is fully accredited for Physicians, Nurse Anesthetists, Physician Assistants and Nurse Practitioners, providing 20 hours of CME credit. • The conference is designed so that there is ample time to enjoy the beauty and diversity of Costa Rica. • The location is the perfect blend of beach and jungle with close by surfing, snorkeling, ziplining, canopy tours, white water rafting and so much more! • Other Healthcare Professionals and interested individuals are welcome to join us for our conference. Please contact us for more information.